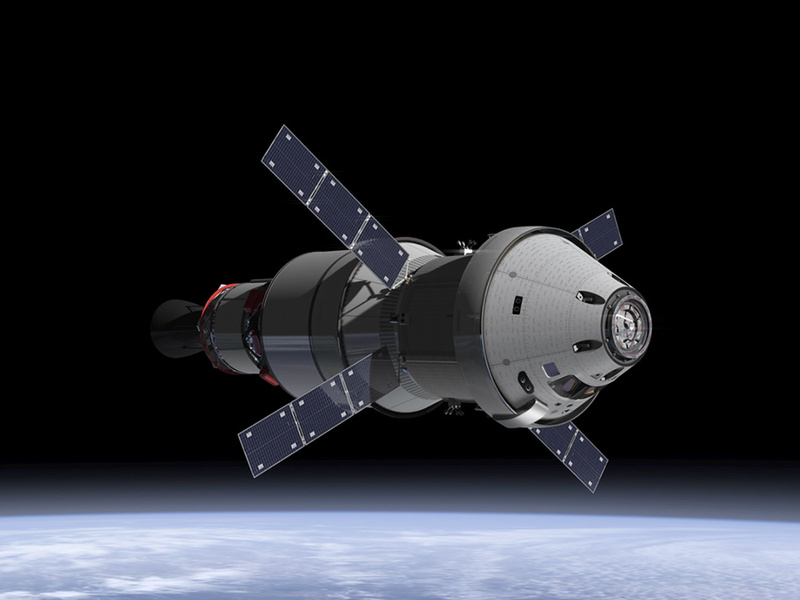 This artist's concept of the Orion Service Module was introduced today. When the Orion spacecraft blasts off atop NASA’s Space Launch System rocket in 2017, attached will be the ESA-provided service module – the powerhouse that fuels and propels the Orion spacecraft. Orion will be the most advanced spacecraft ever designed and carry astronauts farther into space than ever before. It will sustain astronauts during space travel and provide safe re-entry from deep space and emergency abort capability. Orion will be launched by NASA's Space Launch System (SLS), a heavy-lift rocket that will provide an entirely new capability for human exploration beyond low Earth orbit. Designed to be flexible for launching spacecraft for crew and cargo missions, SLS will enable new missions of exploration and expand human presence across the solar system. The service module of the Orion spacecraft will provide support to the crew module from launch through separation prior to atmospheric re-entry.